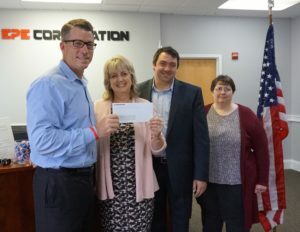 This is the second annual donation EPE has made the Veterans Count and is part of an ongoing community-oriented campaign celebrating EPE Corporation’s 50-plus years in business. This donation is just one of many events EPE Corporation organizes throughout the year in order to support its community. To find out more about Veterans Count, please visit vetscount.org.